We’ve been to almost all of the museums and big galleries in Glasgow now. 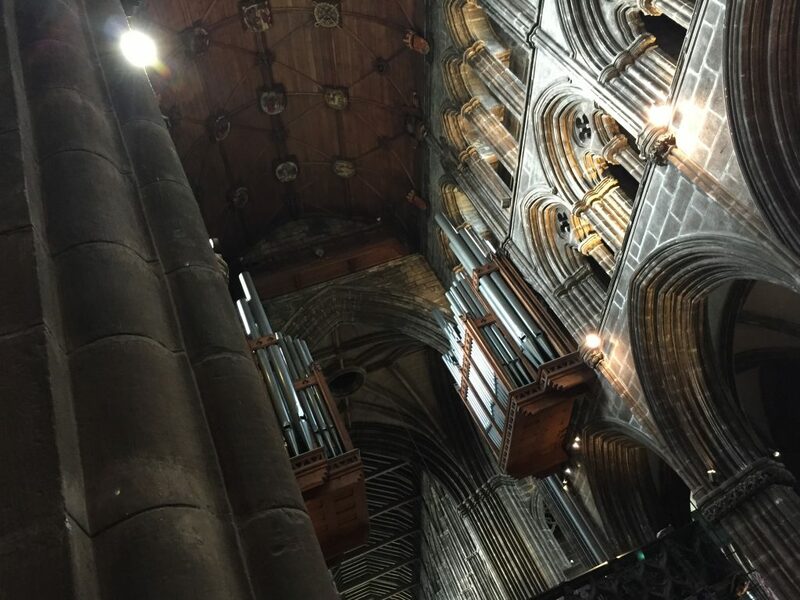 We were looking for somewhere different one weekend recently and so we decided to check out St Mungo Museum, and since it is right next door, we had a wee wander around Glasgow Cathedral too. I hadn’t been along to St Mungo Museum since I was a kid on a school trip, and I don’t remember even a tiny bit about it from then. So other than being aware that it’s a museum, I had no idea what to expect. The museum itself feels quite new and spacious. 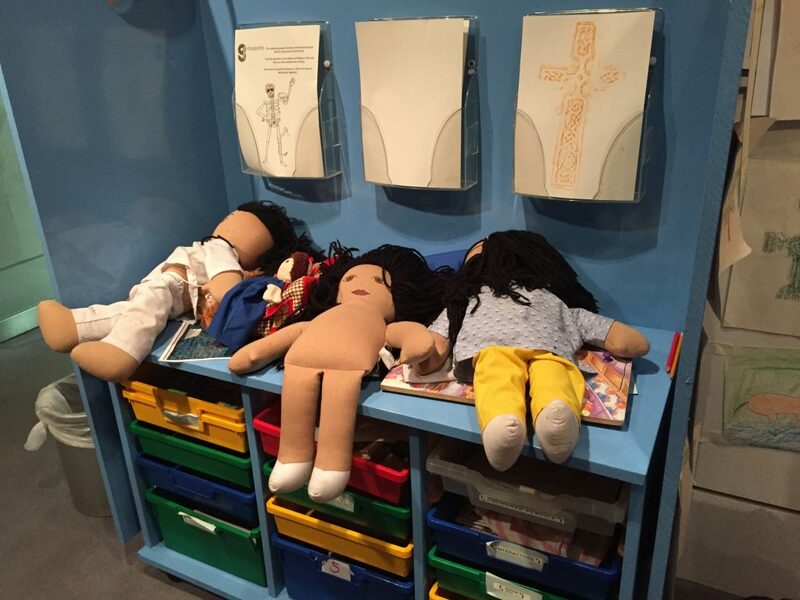 But as museums go, it’s really not the most toddler friendly. There are lots of staircases around, and until you get to the top floor there’s not much for a toddler to do. There are interesting things to look at throughout the museum, but these artefacts aren’t particularly interesting for a young child. On the top floor there was a colouring table and some bits dotted around for kids to trace. 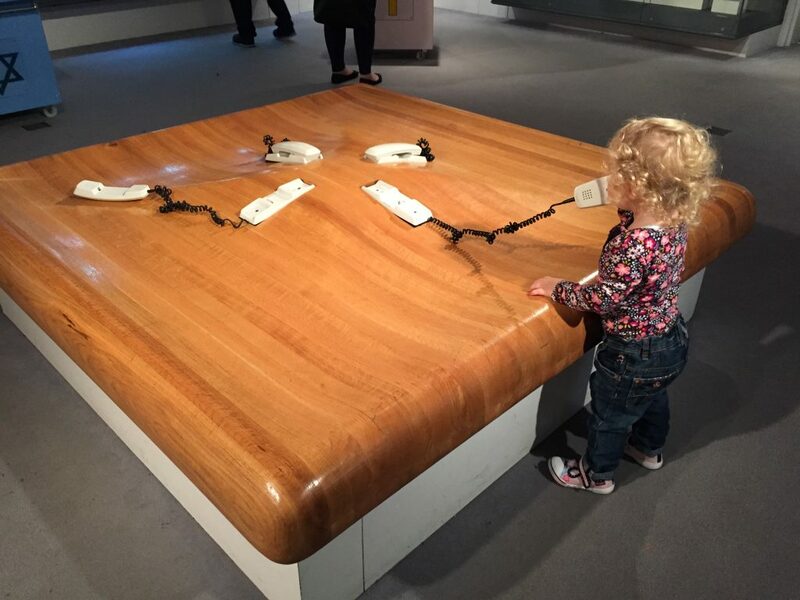 There are also some phones up there that the little lady quite enjoyed playing with, along with a few other bits and bobs for kids to touch and do. There is also a big viewing window up there that the little lady quite liked licking. The museum cafe serves up your usual potatoes, paninis, soups, sandwiches and a couple of hot meal options. Plus hot or cold drinks and some decent looking cakes and coffee. The cafe has some huge windows looking out onto the Zen Garden. The Zen Garden itself is lovely. It’s so quiet and serene and if it’s a good weather day it would be nice to sit in the little courtyard and have lunch. However it gets a bit less zen-y with a toddler trying to pick up all the stones from the pristine garden and fill her pockets with them. I’m mentioning this because the facilities were excellent. The facilities are decorated with fun little animal transfers, and they have a soft change mat which is absolutely spotless, plus some wipes should you have forgotten your own. 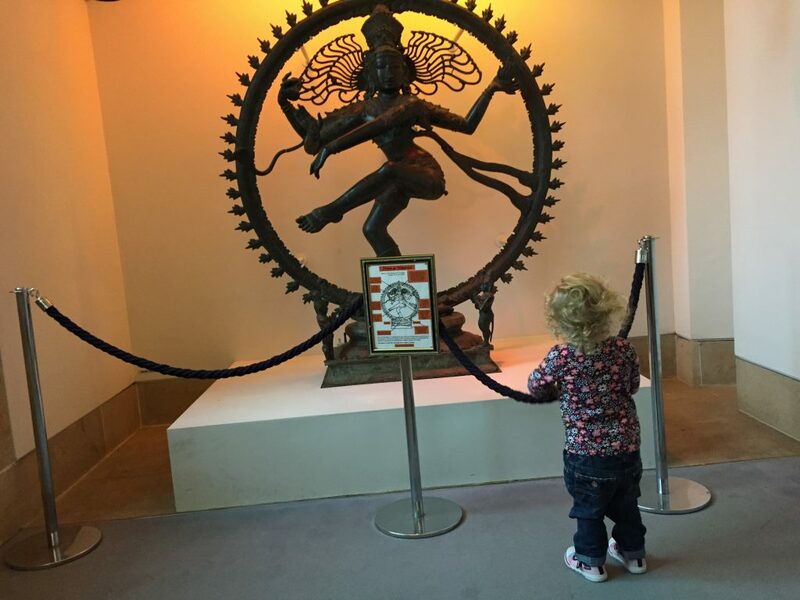 I haven’t seen that in any of the other museums I’ve been to with the little lady! 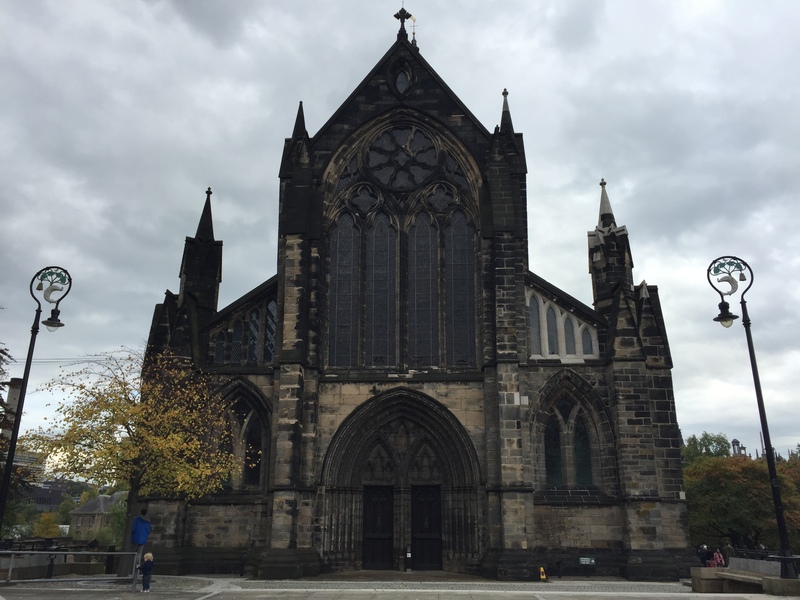 Glasgow Cathedral is situated a 30 second walk across the courtyard from St Mungo Museum. It’s big and very echoey, and there was an organist playing almost the whole time we were in. So apart from the uneven and occasionally loose cobbles and tiles on the floor it is a pretty good place to let a toddler run (ahem, sorry, I mean walk) around for a while. 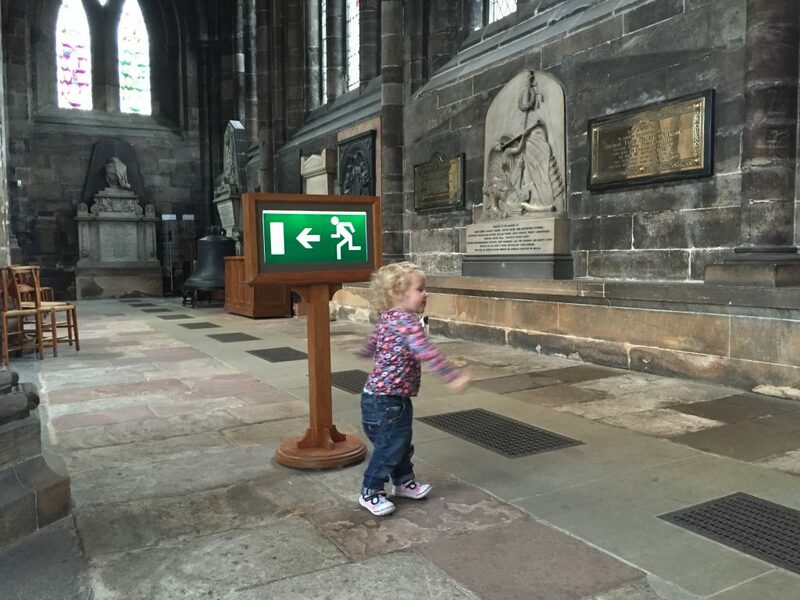 There’s lots of spaces to wander around and the little lady quite enjoyed exploring the cathedral. But some bits do get a bit dark and dungeon-like so I could see some kids being a little bit apprehensive about these parts. 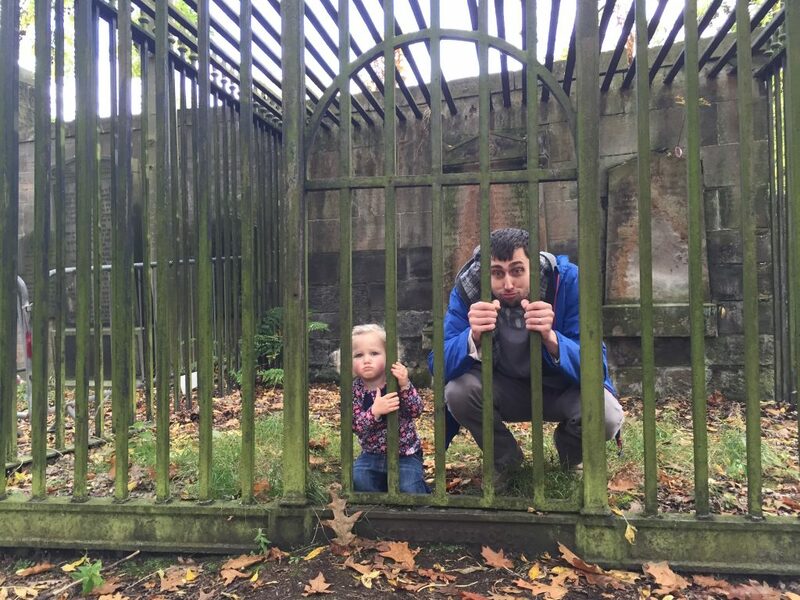 Now graveyards are not where we’d normally play, but the little lady really liked going in and out of the cages, and locking her daddy in them too. 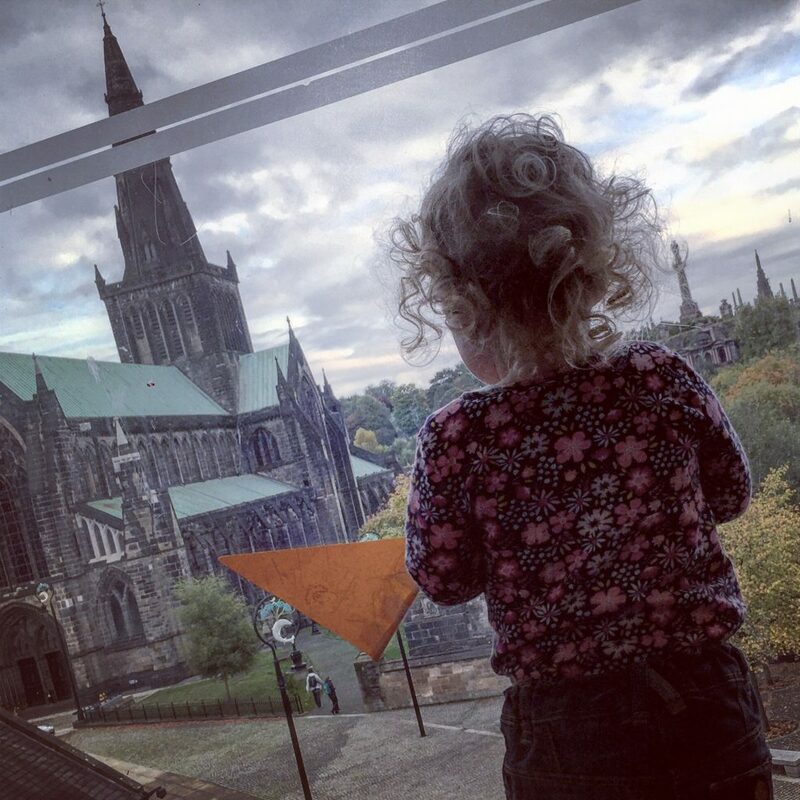 Both St Mungo Museum and Glasgow Cathedral are free to enter and wander round. I quite enjoyed wandering around St Mungo Museum and Glasgow Cathedral. There are lots of really beautiful artefacts and architecture. Glasgow Cathedral in particular is absolutely spectacular. The little lady didn’t quite appreciate either St Mungo or Glasgow Cathedral though and there wasn’t very much for her to do except explore. 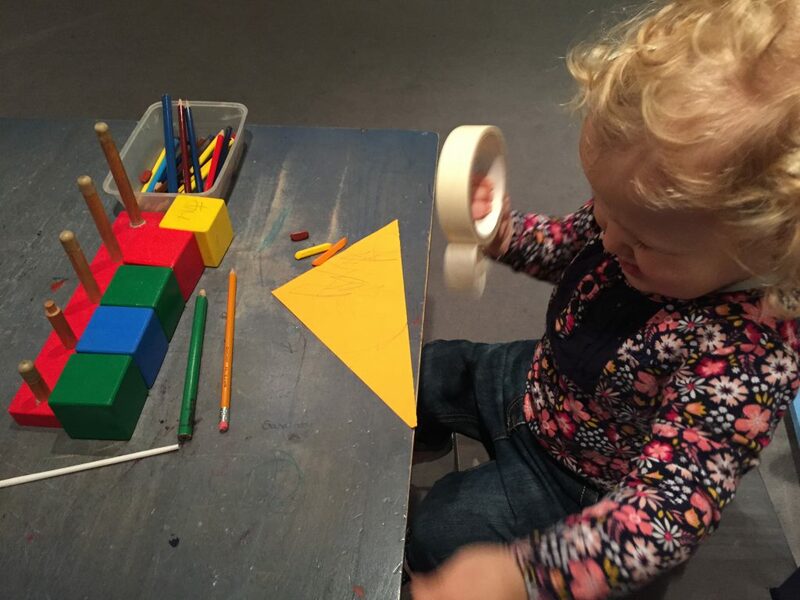 She did enjoy doing that, but we’ll probably go to a more child-friendly museum in future. St Mungo Museum of Religious Life and Art is at 2 Castle St, Glasgow, G4 0RH and Glasgow Cathedral is at Castle St, Glasgow, G4 0QZ.